Krupki Station – Fall of the Reich – Visit for the history and stay for the war gaming. We recently demonstrated Battlegroup (BG) at one of our local Hobby Shops, the Guard Tower East in Columbus Ohio. We had 12 people show up for two back to back games which were both based around the Fall of the Reich (FotR) supplement. The first game was purely a demo game with just tanks using the Spring Awakening Supplement. The second was more complex, focused on Bagration and involved dug in Germans holding off a large scale Russian infantry and armor attack. Rob, thankfully manned the Soviet left side and stewarded that side of the table thought the day and I took the right side. The first game went really well and I had to break out a few more tanks to accommodate the extra players. Having played more than a dozen games with new players we wanted to ease them into the rule system. One of the things we noticed is that throwing everything at new players can be overwhelming and one thing BG does really well is handle scores tanks. The Germans had 9 Panthers and 4 Panzer IVs with each player taking command of a platoon. The Soviets had 9 T-34/76s, 9 T-34/85s, 2 SU-100s and 2 IS-152s. One of things we did want to include was tracking ammunition, this is one of my favorite rules as it limits the power of the heavy tanks. The Guard Towers tables were prefect at 5 feet by 8 feet, which is perfect when using 15mm miniatures. Since this was a travel game I wanted to keep things fairly light so I used my two Cigar Box battle mats, the first one was their new winter mat and the other, my older sand mat flipped over to the white side. Terrain consisted of a few hills and woods to break up lines of sight and a lard field in the center with a few walls and a small hut. The table for both games. The scenario was simple, a meeting engagement with both sides deploying from the table edge. Even though battle was straightforward it was exciting with the German moving first and laying down accurate fire into the T-34s as they advanced on the right. The first platoon of Panthers were able to take up an advantageous position in a woods and a second platoon working closely with the first found hull down positions behind a hill. The Soviet force in the center, including the IS-152 drifted to the Soviet right too but wouldn’t be enough to tip the balance and suffered casualties. It wasn’t a total shut out, the T-34’s were able to knock out a few of the Panthers but it wasn’t enough and the right was solidly in German hands. The Soviet left would be different, the SU-100s working with a platoon of T-34/84 would easily handle the Panzer IVs after a short gun duel and then move to engage the 3rd Panther Platoon. The 3rd platoon of Panthers, moving to counter the Soviet left exposed themselves to some flanking fire from the center and lost a Panther but it soon became apparent that the Russians had taken to many losses to accurate German fire. We were done in about an hour and half and I was surprised by the ending; in the half dozen or so games I have played the Panthers they didn’t do as well as they did in this game. I am not sure if it was a numbers game, a dice rolling issues or a player experience issue. The Soviets did try and start shooting a longer ranges and the Panther commanders did roll well, so maybe the tactic of moving fast and closing with the Panther is a solid one. We also had a few surprises, both side had air and mine strikes along with a few brake down rolls. One thing we did miss was that the vehicle has to move or have moved in the last turn to be hit by a mine strike. Sorry Zack! This was the scenario I was really geared up for, even though it introduced a few concepts that new players and even a few old players weren’t ready for. It was inspired by the defensive fighting around Krupki Station in June of 1944. Here the Tigers of Schwere Panzer Abteilung 505 was rushed forward to a railway station outside the village of Krupki to block the Russians and keep the highway open. We didn’t change the terrain or even sides for that matter but the tenor of the German forces changed from Panthers to bunkers and fox holes. The German forces were composed to two Volkgrenadier Platoons with all of the trimmings, HMG team, PaK40, and Panzerfaust. They also had two Tigers and a few salvos of 2nd Priority Artillery support. I had just finished my dug in Germans, these were a project I had started years ago but because Battlegroup uses them I finally finished and so I wanted to get them on the table. The Russian were in good shape too, with three platoons of infantry and three platoons of T-34s to ride into battle on. The final total were Soviet 928/61 to German 933/33. In this game the Russian were feeling a bit more aggressive and loaded up the tank riders onto the T-34s and proceeded to advance them across the table. The main Soviet strength, two platoons of tanks and two platoons of infantry were deployed on left were the terrain was more favorable for attack. Two groups of trees, an area of tall grass and some hills served to break up lines of sight giving the Tanks cover to advance through. The third platoon along with the T-34/76s advance over a hill into the dead ground. This would be a difficult push, with two well deployed bunkers and HMGs cover the approach. The German deployment was well placed coving the best approaches and containing the center and the right side of the board. The two bunkers and MG-42s were placed on hills giving excellent interlocking fields of fire and would be able to support the infantry deployed around them. On the left, the Germans did what they could deploying infantry in the woods in mutually supportive positions and in such a way as to provide flanking fire is Soviet infantry tried to take one without taking all of the positions. The two Tigers split the difference, one of the left and the other on the right. The Soviet assault began with a barrage of 76mm and 82mm firing into the bunkers while the T-34s set off with their infantry. The Germans stayed low at first while shells landed ineffectually all around them. The Soviet anti-tank guns were brought up to lend their weight to the fire but the Volkgrenadiers had built their bunkers well. In one of those purely Battlegroup moments the German bunker, under fire from the Soviets, responding to a moral check, passed its hero check, fired and chased the Soviet gun away. As the Soviets closed the distance the wisest infantry dismounted and began to advance on foot with the tanks. On the left the Germans were failing to hold the Soviets and the Tiger was running low on ammunition. With two bunkers and plenty of Panzerfaust of the right the second Tiger started to redeploy to the left. On the right the T-34, unaware of his comrades fire was undisciplined and the Soviets fire was beginning to show, both the far right bunker and HMG team were taking casualties. Also, the tanks and infantry advanced within close assault range and were ready to attack. Just as Alan declared his intent to put the bayonet to the Huns the Soviets valor faded and he failed all of his moral test leaving him with a pinned platoon in the cross fire of Germans. The T-34, unaware of his comrades lack of patriotic fervor continued on the objective. On the left the Soviets continued to slowly push forward with enough progress to force the other Tiger to move but not enough to really cause a lot of casualties. The infantry, worried about getting caught on the tanks had dismounted and was now covering a lot of ground under heavy fire from multiple directions. We knew things were going to turn south for the Soviets when Alan’s troops pinned and they did. The Volkgrenadiers, now aware of how close they had come to the end finally woke up and laid down a withering blast on the exposed Soviets. Another group emerge from their foxholes and fired their Panzerfaust at the tanks holding the objectives. One the left, what was left of the Soviet infantry were approaching the left objective but still a ways off. With both sides looking a little thin and it getting a little late I figured I should count the up the losses and much to my surprise the Germans had busted. Final count was 53/36 with a Soviet win. I was pleased with the results, the size of the game and it progress; we were done in about 3 hours. I would say, that this wasn’t the best game for new players and I wouldn’t run it again as a demonstration game. I like the scenario but I could tell that the new players were getting confused with the various interplay of the rules. One that note, I will do this scenario and list again, I think it’s a classic set up. 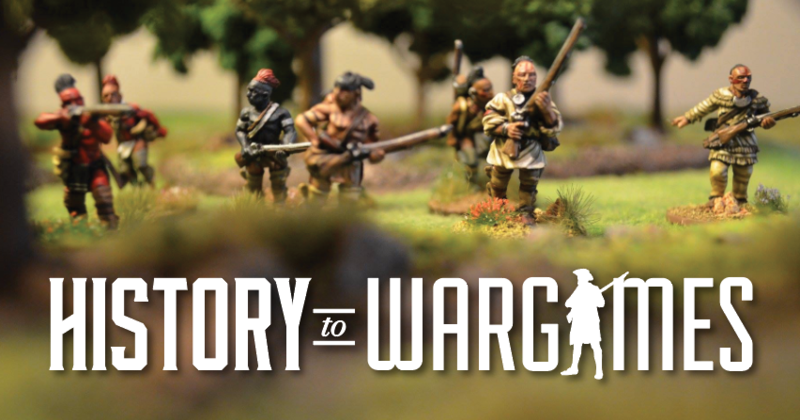 You can see a short video of the game and a few more pictures at Allen Smith Wargaming.